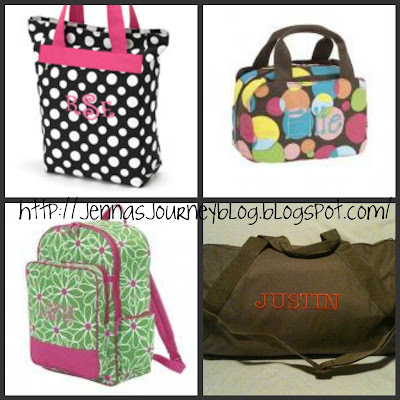 Jenna Blogs: Market Tote Giveaway & Discount Code! My friend Regan has a great Etsy shop called Sewing A Seed and she asked me to do a giveaway for her! You are going to love Regan and her products! Regan and I used to work together several years ago. She has an extensive background in sewing and design - in fact, here's a funny story for you. When we ordered my mom's Mother of the Bride dress for my wedding, the store we purchased it from accidentally sent in my bridal measurements for her. My mom is 5'2" and I am 5'8". Her dress was made of a special kind of lace that cannot be hemmed and when it arrived the store had no one capable of fixing it. Thankfully Regan knew how to fix it since she once worked as a bridal design pattern maker; she had to take the entire dress apart - it was in many, many pieces - and completely remake it. It was a lot of work and I doubt there are many people who could have done what she did! If you would like to read a little bit more about Regan, her three adorable boys and Sewing a Seed, you should check out her blog by clicking here. First, I want to show you some of the products in her Etsy Store. 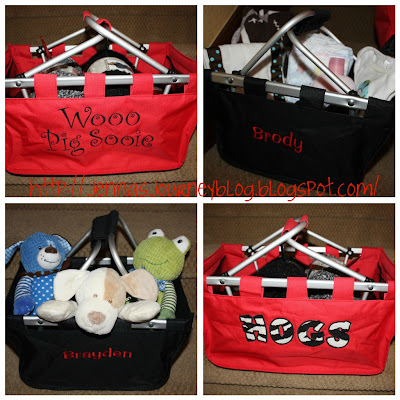 I have three wonderful market totes - one for each boy and this awesome Razorback one just for me! They are so versatile and I love that they fold flat if you aren't using them. Right now I have some of my crochet hooks and yarn in mine. Brody's is packed for a visit to Grammy's house, and Brayden has been carrying his around with three of his favorite animals in it - Bo, Bellie and Froggie. Yesterday it had John Deere tractors and the day before he had his collection of "Cars" toys in there. Silly boy. So would you like a large tote (the size of my Razorback one) of your own? These are so great - you can use them as wedding and baby shower gifts, to take with you to the Farmers Market, for tailgating...they are so versatile! For one entry (mandatory) leave me a comment with your name, email address, total number of entries & the colorway you would pick for your market tote! 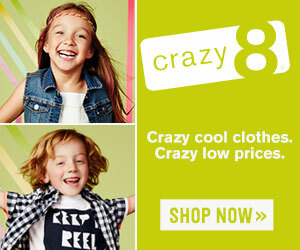 For an additional entry, "like" Sewing a Seed on Facebook by clicking here. You can also tweet or blog about this giveaway for an entry! For one extra entry, I thought I'd do something a little different - you can "Pin" this giveaway on Pinterest! Want to order from Sewing a Seed now? Great! You can save 20% by entering the code "jennasjourney" at checkout!! This contest is open to US Residents only. A winner will be selected on Friday, October 28!